The rehab program, post-op has been reasonably good, more like the volatile stock market. While the overall story has been good, there have been days of dubious stiffness. I have been cycling for sometime now and have been patiently waiting to hit the highway. 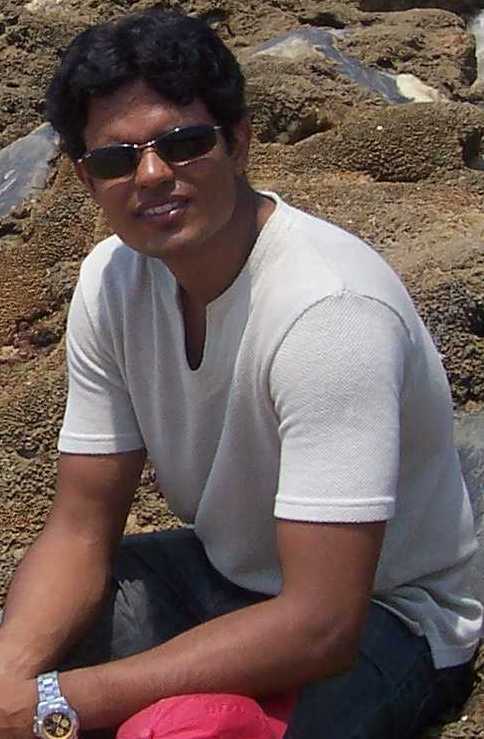 My cheddi friends Vijay and Gau had come down from states and a trip was always on the cards. 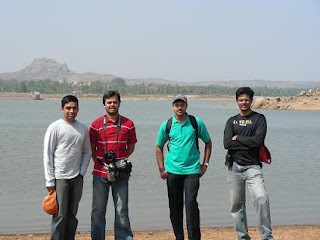 We decided to check out the Kanva Dam on the Bangalore-Mysore highway on the Republic day holiday. Parag and Gau followed us in the cager, Vijay decided to pillion ride. We started by 10am or so. Just 400mts and 2 mins into the ride on the ring road near BEL circle, the reality of the highway welcomed me. As I prepared to squeeze out of a gap between a tanker and a truck, something I have done hazzar times in the past sans incident. This time though, the truck moves to the left, forcing me to scrape against the tanker. The crash guard, the foot peg and my leather jacket took the bulk of the impact. Vijay and I had survived, in the words of the good Samaritan in the bike behind us, a truly miraculous escape. We hammered the foot peg back in place, picked up the pieces of the broken watch and our egos and continued. We took the advice of by-standers and complained to the traffic constable (terrific constable) at the junction. The action he took was to instruct us to ride fast and catch up with the tanker. Can you believe that! From then on, it was a fairly uneventful ride to Kanva dam. We stopped over at Kadu Mane for breakfast of idlies and dosas. 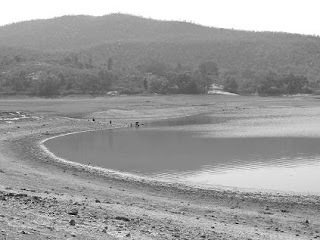 Kanva dam is about 10kms off Bangalore Mysore Highway. Immediately after the Kengal temple near Ramanagara, take a right into a kacha road to Kanva. And don’t follow makeshift hand-written boards made by children to mis-guide you on the way. (yes, you guessed right, we fell for it!!). There is some kind of repair work going on, so you can’t go all the way upto the dam. You have to be contended with walking on the bank of the water body. I did a lot of point and shoot and tried all modes and zoomed in and zoomed out and tired to frame the landscape with my new Nikon S10 camera, till the batteries ran out. Then we headed back. Lunch happened at a Chandighar Dhaba next to Kamat Lokaruchi. It was not a great place, but a welcome break from the over-crowded and exorbitantly priced Kamat. take care with the squeezing and stuff. i have warned u hazar times..